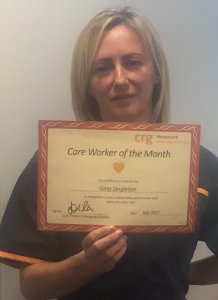 Congratulations to Gina Singleton, care worker from our Liverpool Homecare branch, who has been awarded Care Worker of the Month. Gina (left) was presented with the award for saving two service users’ lives. Gina arrived for a morning call when she found two service users on the floor and the house full of gas. 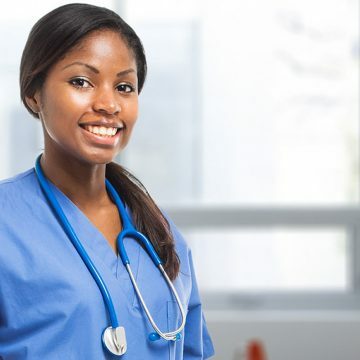 She opened all windows and doors, called emergency services and, at risk to herself, moved the service users to the opened patio doors for air. Emergency services praised her “quick thinking” and both service users are now home from hospital and have recovered from their ordeal. Gina was presented with a voucher and certificate in recognition of her actions.